When duty calls, you'd better be ready. And what better way is there to get prepared for those rough and tough work days than by wearing a pair of these Danner Men's 50136 Coyote 8-Inch Tachyon Duty Boots? They meet the AR 670-1 requirement for optional wear, which ... (see full details) (see specifications) #DNN50136. When duty calls, you'd better be ready. And what better way is there to get prepared for those rough and tough work days than by wearing a pair of these Danner Men's 50136 Coyote 8-Inch Tachyon Duty Boots? They meet the AR 670-1 requirement for optional wear, which means the Danner boots are made to a quality standard that ensures a soldier's safety. The Tachyon design has nylon shanks to reinforce your arches. This kind of lightweight support will help reduce foot fatigue, allowing you to stand your ground longer with fewer aches and pains. 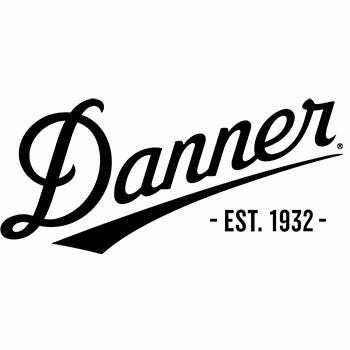 The Danner footwear weighs in at just 31 ounces, so you'll be able to jump into action right away. With an 8-inch height, the men's shoes provide you with plenty of reliable coverage. The durable, rough-out leather uppers come in a coyote tan color...to help you blend in with the desert sand, of course. They're made out of 500 denier nylon for even more durability. Rugged Danner Tachyon outsoles are slip-resistant because you need to stay on your toes at all times. These rubber outsoles feature pentagonal lugs to give them superior surface contact, which allows you to experience fewer slips and falls. You're on a mission, so you don't have time for embarrassing wipeouts. To allow you to get going faster when you start your day, there's a speed lace fastening system. Durable brass hardware is used in the tactical boots, and this hardware-speed lacing system let you find the perfect, secure fit for your feet. Open-cell polyurethane footbeds allow for optimal airflow, as well as superior durability. Your feet need to breathe, so these Tachyon boots let them. For excellent shock-absorption, the men's footwear also includes EVA cushioning and shock-absorbing midsoles. You'll be prepped and ready to go once you're wearing these Danner Men's 50136 Coyote Tan 8-Inch Tachyon Duty Slip-Resistant Boots. Order yours right here at Working Person's Store! WorkingPerson.com is a great website and I look forward to ordering many more items. Thank you. Danner Boots: Men's 50136 Coyote 8-Inch Tachyon Duty Boots is being added to your cart.